Everything you'd hoped for in a townhome. 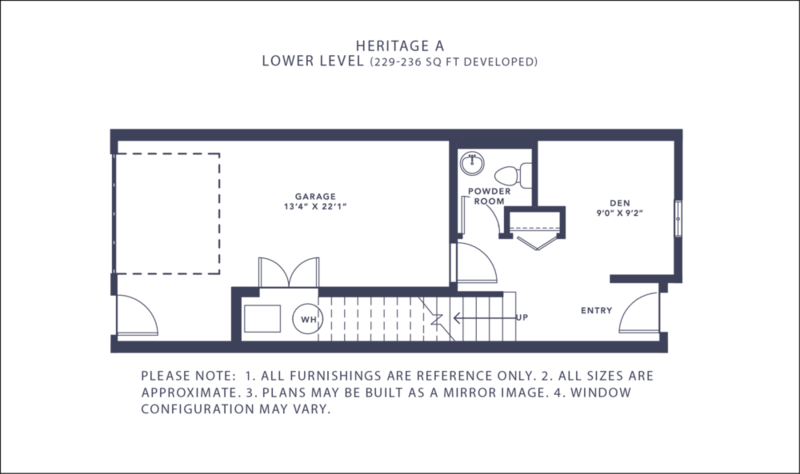 A den and half bath on the ground floor, a kitchen and separate dining room for entertaining friends and your choice of 2 or 3 bedrooms. There's also a balcony and attached garage. The Heritage has been a Slokker staple for 8 years - because it offers everything you need! 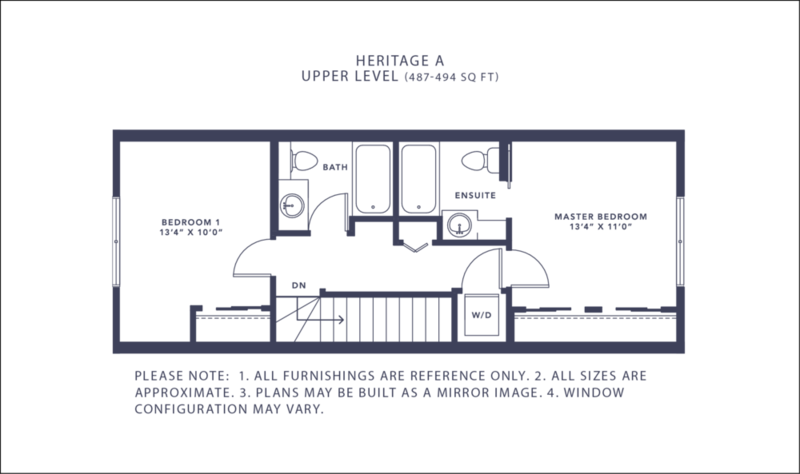 The Heritage, our most affordable townhome, is packed with features you'll love. 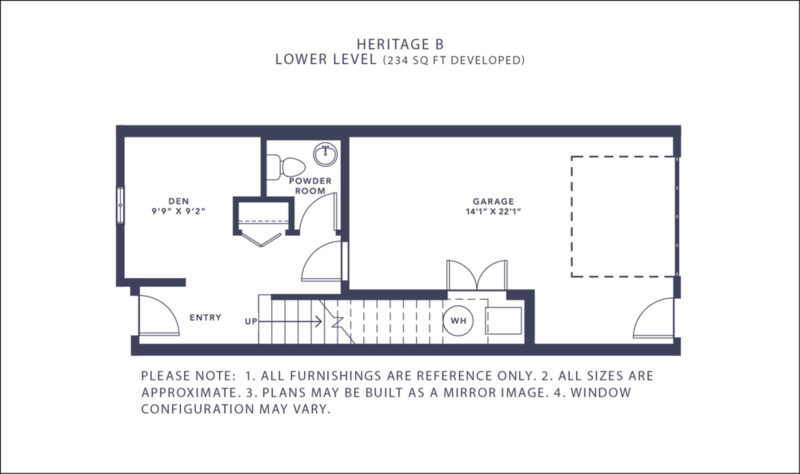 It's perfect for couples, singles and families in search of a comfortable, well-designed home. 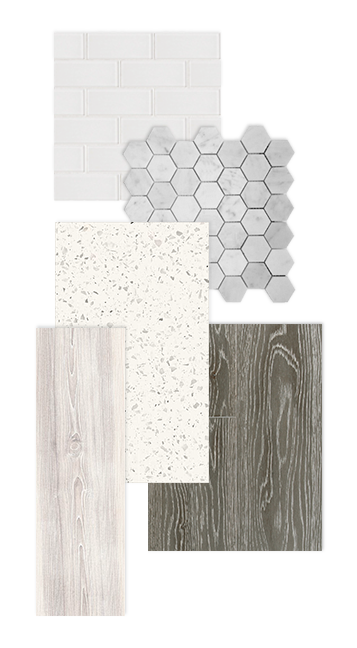 Customize your interior with a selection of tiles that never go out of style. Our European-style kitchens come with quality appliances and quartz countertops. Quartz countertops are standard in the bathrooms too. Durable wood-plank laminate flooring is included as standard on the main level.